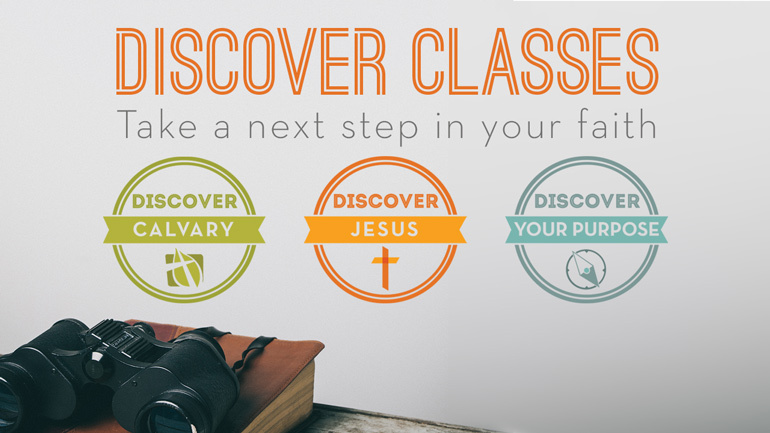 Discover Classes are interactive experiences designed to help you learn how to live out the Christian life. Come take a next step in your faith by getting connected in community with God and others at Calvary, by growing as a follower of Jesus and by discovering your purpose. Since 1931, Calvary has been sharing the life-changing message of Jesus. Learn how our history impacts our future and the role you play in making our vision a reality by becoming a member of Calvary Church. 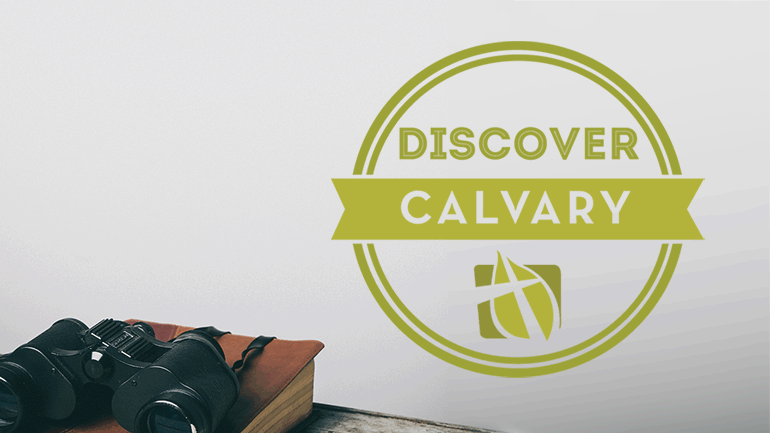 The Discover Calvary class is designed for you to learn more about Calvary before committing to become a member. We’ll talk about how God designed His church to function, the history and beliefs of Calvary, and will go on a behind-the-scenes tour to learn about the different ministries that take place at our church. It's also a great way to get to know others at Calvary, including some of our pastoral staff. The Discover Jesus course uses the 9-week "Following Jesus" curriculum to help you discover how to live and love like Jesus. Come grow in your faith by journeying through the foundational elements of discipleship and get connected with others along the way. If you’re a new follower of Jesus, or want to become more grounded in the basics of Christianity, this is perfect for you! 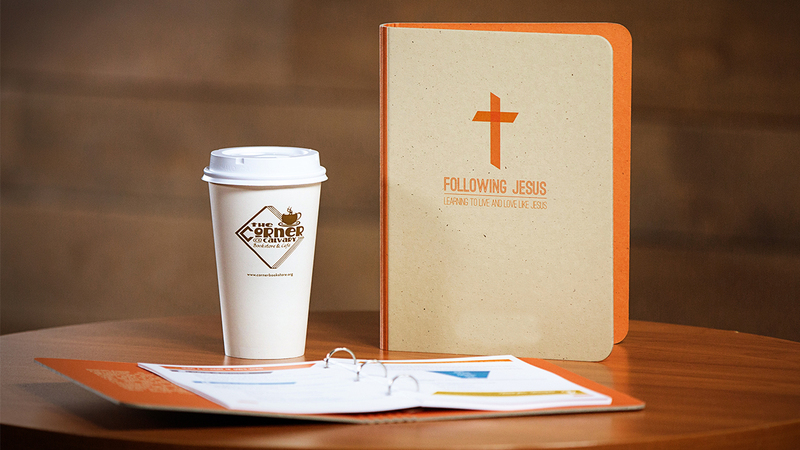 This Calvary-developed course is now available in print at the Corner Bookstore! Come check it out. Student Edition $12 / Leader Edition $15. As followers of Jesus, we are invited into a story so much bigger than ourselves. We are on a mission to spread the good news about Jesus and reach out through acts of service, justice and compassion. Each of us has an important role to play. Do you know your purpose and how to carry out God's calling in your life? In our "Discover Your Purpose" class you’ll explore your unique God-given spiritual gifts through taking insightful personality tests. You'll also learn what the Bible has to say about purpose and be equipped to make a difference at Calvary, in our community and around the world. Come take a next step in your faith by getting connected in community with God and others at Calvary, by growing as a follower of Jesus and by discovering your purpose.